#1 This week is where Valentine’s day has fallen. As such we open with “I love myself” and wrote about speed dating outfit ideas. 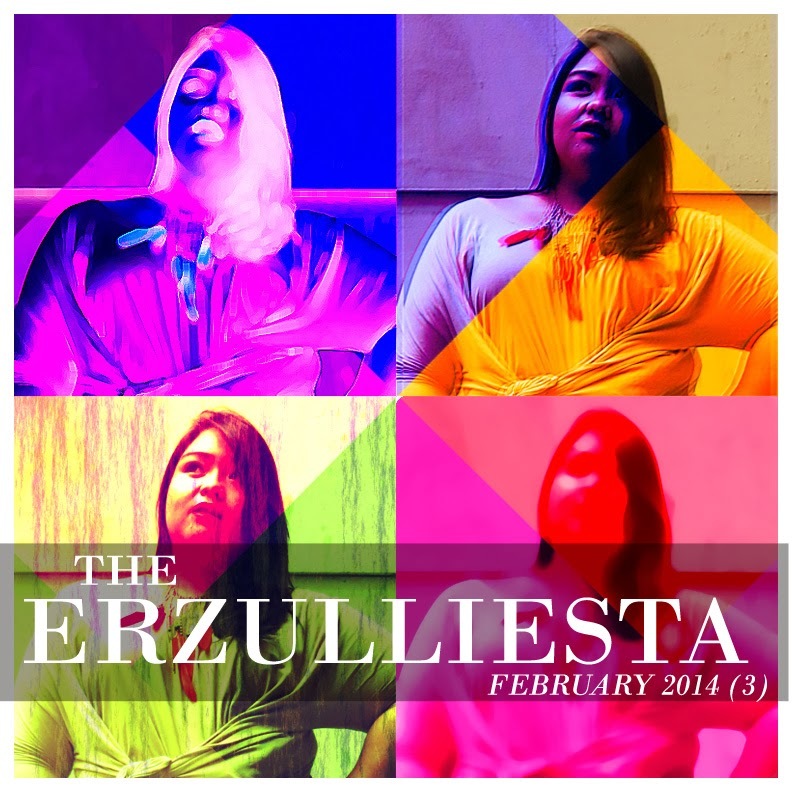 Speaking of dates, Erzulliesta Beau Soleil tells you where to find them in the Metro Manila dating scene. #2 You ladies already know that the Resort 2014 collection will be launched at the Super Sale Bazaar, World Trade Center, Pasay City on February 28-March 2, 2014 (11am-10pm). As such, here are more details about it like: the partial and unofficial list and the color palette. #3 Speaking of shopping, do you know that in Erzullie your style is someone’s savior? #4 Erzullie designer, Aries De Guzman, went “Casual Chic” this week, while Erzullie Icon and Plus Size Model, Khris Guarin, shows us her “wild feminine” side. She also stars in the editorial, “Style Sneak” and gives advice on new beginnings. #5 This week also marks the Erzullie Showroom house warming party! But what are our thoughts as we almost finished the room?